Launched in 2010, “IN THE BAG” is an annual charity event to support the American Red Cross in the National Capital Region. Our women’s committee will auction off designer, vintage and celebrity pocketbooks to help fund the vital services provided by American Red Cross to our community. The IN THE BAG event is planned and staffed by a steering committee of local women leaders. These women volunteer their expertise to find sponsors, develop marketing, engage in traditional and online PR, and search out phenomenal bags from gracious donors. Hundreds of women gather each Fall for a great lunch, good conversation and the chance to nab a simply over-the-top gorgeous, trendy handbag. The event has consistently increased its donation to the Red Cross in each of the years since 2010. Included Vacation in Snowbird Mountain in Utah, Jewelry, Signed Caps Jersey, Shopping Spree, etc. Successful Business Women, Local Leaders, Special Guests, Tiffany Circle Members, etc. Helped to fund the vital services provided by American Red Cross to our community. 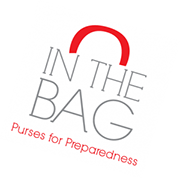 Thank you for your generous sponsorship of the Annual “IN THE BAG: IX Purses for Preparedness” event. By supporting our efforts, we all help the Red Cross deliver a humanitarian mission which touches the lives of thousands in our neighborhoods. BECOME A SPONSOR! "Love, love, love the work we do for the Red Cross. And... Most of all I really enjoy the ladies on the committee. A fun group." "This spectacular event has netted over $350K for American Red Cross services to support people in our community every day." "Volunteering for IN THE BAG has been one of my favorite and most rewarding philanthropic experiences. What makes being part of ITB extraordinarily special is working with the amazing women who comprise the Steering Committee along with our charismatic Founder, Brenda Blisk." “They make this event, not only one of our highest netting fundraisers in our region, but also the most fun and unique. "It’s a fun filled afternoon beginning with seeing old friends, making new acquaintances, a delicious lunch and above all bidding on beautiful handbags, all to benefit the Red Cross and the work they continue to do in the National Capital Region."